Studies finding health effects from BPA keep appearing. BPA (bisphenol-A) is a chemical used in many everyday products (e.g. the lining of soda and food cans, store receipts) and so almost all humans are exposed to it daily. Researchers are getting increasingly worried about BPA and related chemicals (including substitutes for BPA such as BPS) because they are endocrine (hormone) disruptors with health effects in humans and animals. This chemical is so widely used that more than 7 billion metric tons of it are produced annually throughout the world. Unfortunately the US government keeps agreeing with the chemical industry that the chemical is "safe", and disregarding the results of studies finding health effects (reproductive effects, obesity, etc). Of course the chemical industry is fighting tooth and nail to discredit studies done by independent researchers - a lot of money is at stake. The following are excerpts from an article describing the latest study finding health effects from low dose exposure from BPA - it altered the amount of insulin released by the person (and so perhaps influencing the development of type 2 diabetes). What was worrisome is that the dose is considered "safe" by the US government - and in the study people were exposed to it once, while in real life humans are exposed to such doses multiple times daily. In a scientific first, researchers gave people BPA — and saw a link to precursor of type 2 diabetes. The controversial study suggests that BPA exposure deemed safe by the feds could alter the amount of insulin released and elevate people's type 2 diabetes risk. A first-of-its-kind study of a small group of people exposed to a very small amount of bisphenol-A (BPA) is raising questions about the federal government's stance that low doses of the common chemical are safe — as well as the ethics of conducting such an experiment on humans. ...continue reading "Exposure to BPA Has An Effect on Insulin Levels"
Many of us grew up having silver colored dental fillings (called dental amalgam) in our teeth. Dental amalgam has been used for over 150 years for the treatment of dental cavities (caries) because it is durable, easy to use, and affordable. But it is composed of about 50% elemental mercury (Hg) and so it may release a certain amount of mercury both during the time the cavity is filled and afterward with normal wear. Mercury can cause adverse health effects, such as effects on the central nervous system, kidneys, and immune system. Human mercury exposure also occurs through the consumption of mercury (MeHg) contaminated seafood. 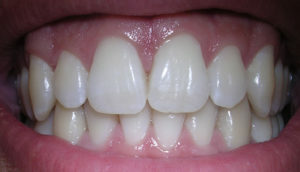 Recently many dentists switched to the use of the composite resins, which are mercury-free alternative materials. However, these can release can release small quantities of bisphenol A (BPA) when applied and as they degrade in the mouth. BPA is an endocrine disruptor, has been found to cause various adverse health effects, including reproductive effects, and can be measured in urine. Which raised the question, do persons with composite resin fillings have elevated BPA in their bodies? Dental surface restorations composed of dental amalgam, a mixture of mercury, silver, tin and other metals, significantly contribute to prolonged mercury levels in the body, according to new research from the University of Georgia's department of environmental health science in the College of Public Health.This research, which analyzed data from nearly 15,000 individuals, is the first to demonstrate a relationship between dental fillings and mercury exposure in a nationally representative population. ...continue reading "Dental Fillings and Mercury Levels"
Studies are accumulating evidence that the hormone disrupting effects of compounds BPA (bisphenol A) and BPS (the common substitute for BPA) have numerous negative health effects in humans, including reproductive disorders. But now a second BPA substitute - BPSIP - is also being found in humans, and may be even more persistent than BPA and BPS. This is because they're all chemically similar, and all three are endocrine disruptors. This article points out that they have slightly different effects, and when we are exposed to more than one of them (which we are), then the health effects will be even more worrisome. Unfortunately these plasticizers are in products all around us, and so detected within almost all of us. They're in food packaging containers (and therefore in food), water bottles, can linings, toys, personal care products, thermal paper products such as cash receipts, etc. Canned foods are considered one of the most significant routes of human exposure to bisphenol A (BPA). Bisphenol A (BPA), unlike DES, remained obscure until the 1950s, when chemists tapped it to make polycarbonate plastics and epoxy resins. BPA now tops the list of high-volume chemicals, and is found in numerous consumer products, including water bottles, food packaging containers and can linings, and thermal paper products like cash receipts and boarding passes (Fig 1). And because it can leach out of products, it’s been detected in the urine of nearly every person tested. It’s also been found in breast milk, follicular and amniotic fluid, cord blood, placental tissue, fetal livers, and the blood of pregnant women. ...continue reading "Endocrine Disruptors BPA, BPS, and Now BPSIP"
BPA Levels in Children and ADHD? Author SimaPublished on June 21, 2016 March 28, 2018 Leave a comment on BPA Levels in Children and ADHD? Children in the U.S. with higher levels of BPA in their bodies were more likely to have Attention-Deficit/Hyperactivity Disorder (ADHD), according to a study. The study of 460 children across the U.S. aged 8 to 15 years old found that 11 percent of those with BPA levels higher than the median level had ADHD. In contrast, 3 percent of those children with BPA levels below the median had ADHD. The research, published online last week in the Environment Research journal, adds to evidence that children’s BPA exposure may alter brain development and lead to behavior problems such as reduced attention and hyperactivity. The association was stronger for boys than girls, which reflects broader ADHD rates. Nationally about 10 percent of children between 5 and 17 have had an ADHD diagnoses, with boys having a much higher rate at 14 percent. By comparison about 6 percent of girls have the disorder, according to the U.S. Centers for Disease Control and Prevention.....BPA mimics estrogen hormones.The sexes use hormones differently to influence brain function. BPA—used to make plastic hard and shatterproof and to extend the shelf life of canned food—can leach out of can linings and into the food. Studies show that just about everyone has traces of the chemical in their body—for instance, 97 percent of the children in this study had BPA in their urine. The additive has been linked to multiple health impacts in exposed babies and children—including obesity, asthma, low birth weights and genital defects. A 2014 study on prenatal exposure to BPA found higher levels meant more behavior problems for school-age boys. Evans, lead author of that study, said prenatal exposure to chemicals is a “window of high susceptibility,” but so are the childhood years. The brain keeps developing into the 20s. Research specifically looking at ADHD and BPA exposure has been mixed, with some finding a link and some not. 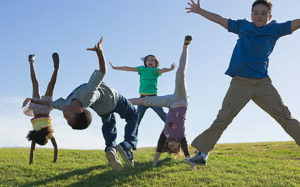 Most of the previous studies, however, have been on children younger than 8 years old, and ADHD and its symptoms are often realized later than that. Animal studies show that BPA may alter the body’s dopamine—a chemical messenger that helps people think and stay alert and focused. “Dopamine systems are modulated by estrogen and BPA is a synthetic estrogen,” Froehlich said. There are also suggestions that BPA can interact with thyroid hormones—“critical in normal brain development,” Evans said. Published on June 21, 2016 March 28, 2018 Categories brain, children, endocrine disruptorsTags bisphenol A (BPA), hormone disruptorsLeave a comment on BPA Levels in Children and ADHD? We're surrounded by hormone disrupting chemicals (endocrine disruptors) in daily life - in plastics, personal care products, pesticides, food containers, plastic toys, etc. A recent study done in the European Union (EU) reports on a growing body of evidence suggesting that exposures to endocrine-disrupting chemicals (EDCs), particularly phthalates and diphenyldichloroethene (DDE), contribute to the development of common reproductive disorders in women: endometriosis and uterine fibroids. A group of global EDC experts estimated the economic costs of these female reproductive disorders attributable to endocrine disrupting chemical exposures at nearly €1.5 billion ($158 billion) annually. Endocrine-disrupting chemicals may contribute to reproductive health problems experienced by hundreds of thousands of women, costing European Union an estimated 1.4 billion Euros ($1.5 billion) a year in health care expenditures and lost earning potential, according to a new study. The study examined rates of uterine fibroids -- benign tumors on the uterus that can contribute to infertility and other health problems -- and an often painful condition called endometriosis where the tissue that normally lines the uterus develops elsewhere in the body. The two conditions are common, with as many as 70 percent of women affected by at least one of the disorders. Research has linked the development of uterine fibroids and endometriosis to chemicals found in pesticides, cosmetics, toys and food containers. Past studies suggest a byproduct of the pesticide DDT, a chemical known as DDE, can raise the risk of developing uterine fibroids. Another group of chemicals called phthalates, which are found in plastic products and cosmetics, have been tied to growing risk of endometriosis.....DDT and phthalates are known endocrine-disrupting chemicals (EDCs). "Although these two gynecological conditions affect millions of women worldwide, we recognize that this analysis only reflects the tip of the iceberg," Trasande said. "A growing body of evidence suggests EDC exposure is linked to a broader range of female reproductive problems, including polycystic ovary syndrome, infertility and pregnancy complications. These disorders also place a significant cost burden on women, their families and society as a whole. Hormone-disrupting chemicals are everywhere -- in plastics, pesticides and makeup -- and two of them, phthalates and DDE, have been particularly strongly linked with common female reproductive conditions, such as fibroids. In a new study, researchers estimate that the problems caused by these two chemicals alone could cost the European Union at least 1.41 billion euros a year, the U.S. equivalent of about $1.58 billion. DDE is a breakdown product of the insecticide DDT that, although banned in the United States in 1972 and in Europe starting in the 1970s, still lingers in the environment and enters our body through food. The main exposure to phthalates is through eating food and drink stored in plastic containers that have phthalates.....In a similar way, they relied on a study that linked higher phthalate levels in women who had been diagnosed with endometriosis compared to healthy women. The current study is important because it focused on chemicals that have not been restricted, and in the case of DDE -- which persists in the environment -- are not able to be restricted, Birnbaum said. However, she said she was surprised the researchers did not include an analysis of chemicals such as BPA, which has also been linked to endometriosis risk. "This study is kind of a wake-up to say endocrine disruptors impact the female reproductive system, and we have some evidence they are associated with an increase in endometriosis and fibroids and it costs a lot of money," Birnbaum said. Even with all the questions that remain, and few regulations in place, "there are safe and simple steps that families and women can take to reduce exposure to endocrine-disrupting chemicals," Trasande said. "They can eat organic, reduce canned food consumption, which reduces exposure to BPA, and avoid packaged or highly processed food, which is a major route for phthalates to enter food. They can also open windows to allow chemical dust, which accumulates on the carpet and electronics, to circulate out of homes." There is increasing concern over phthalates and BPA and their effects on human health. It turns out that a big source of phthalates (which are known endocrine disruptors) in humans may be fast food. A new study looked at fast food consumption by 8877 people and found that those who reported eating more of it in the past 24 hours had urinary phthalate levels as much as 40 percent higher than those who had eaten no fast food in the 24 hours before testing. In fact, it was a dose-response relationship between fast food intake and exposure to phthalates - the more fast food, the higher the level of phthalates. The researchers did not find an association between total fast food consumption and BPA. However, they did find an association between fast food meat intake and BPA, which corresponds to the small but growing evidence from other studies suggesting that hamburgers may be a source of BPA exposure. These findings are of concern to all of us because phthalates and bisphenol A (BPA) are widely used industrial chemicals that may adversely impact human health. 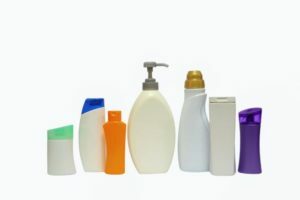 Studies detect phthalates in 98% of the US population. They are found in a wide variety of products (including plastics and personal care products), and can enter the human body via ingestion, inhalation, and absorption through the skin. How are we exposed to them in fast food? Phthalates and BPA are typically found in food packaging and some leaches out into food. Some can also leach into food from dairy product tubing, in lid gaskets, food preparation gloves, conveyor belts, etc. Thus we ingest phthalates and BPA when we consume processed or packaged food. Fast food may be an especially important source of exposure to phthalates and BPA because it is highly processed, packaged, and handled. 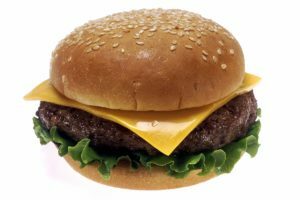 People who reported consuming more fast food in a national survey were exposed to higher levels of potentially harmful chemicals known as phthalates, according to a study published by researchers at Milken Institute School of Public Health (Milken Institute SPH) at the George Washington University. "People who ate the most fast food had phthalate levels that were as much as 40 percent higher," says lead author Ami Zota, ScD, MS, an assistant professor of environmental and occupational health at Milken Institute SPH. "Our findings raise concerns because phthalates have been linked to a number of serious health problems in children and adults. "Phthalates belong to a class of industrial chemicals used to make food packaging materials, tubing for dairy products, and other items used in the production of fast food. Other research suggests these chemicals can leach out of plastic food packaging and can contaminate highly processed food. Zota and her colleagues looked at data on 8,877 participants who had answered detailed questions about their diet in the past 24 hours, including consumption of fast food. These participants also had provided researchers with a urinary sample that could be tested for the breakdown products of two specific phthalates--DEHP and DiNP. Zota and her colleagues found that the more fast food participants in the study ate the higher the exposure to phthalates. People in the study with the highest consumption of fast food had 23.8 percent higher levels of the breakdown product for DEHP in their urine sample. And those same fast food lovers had nearly 40 percent higher levels of DiNP metabolites in their urine compared to people who reported no fast food in the 24 hours prior to the testing. The researchers also discovered that grain and meat items were the most significant contributors to phthalate exposure. Zota says the grain category contained a wide variety of items including bread, cake, pizza, burritos, rice dishes and noodles. How Much BPA Did You Eat Today? Author SimaPublished on April 1, 2016 March 28, 2018 Leave a comment on How Much BPA Did You Eat Today? Some more bad news about BPA and other endocrine disruptors (hormone disruptors) such as the phthalate DEHP. Bottom line: Avoid plastics, BPA, BPS and other BPA substitutes (they're chemically similar and seem to have similar health effects) as much as possible. Most canned food has BPA or BPA substitutes in the can linings. Use glass and stainless steel to store food, microwave food in dishes (not in plastic containers or packages). Go to the Environmental Working Group site for more information on product information, what to avoid, and what to look for and get instead. Exposure to a substitute chemical often used to replace bisphenol A in plastics can encourage the formation of fat cells, according to a new study. The replacement chemical, bisphenol S, has a slightly different chemical structure than bisphenol A (BPA), a known endocrine disruptor. As of 2014, nearly 100 epidemiological studies have been published tying BPA to health problems, according to the Introductory Guide to Endocrine-disrupting Chemicals published by the Society and IPEN, a global network that supports sound chemicals management. Concerns about BPA's health effects have encouraged some consumers to purchase food containers labeled "BPA-free." BPA-free products often contain bisphenol S (BPS)or other substitutes, but researchers have raised concerns that these replacements also interfere with the body's hormones and may pose similar threats to public health. "Our research indicates BPS and BPA have comparable effects on fat cells and their metabolism," said the study's senior author, Ella Atlas, PhD, of Health Canada, the federal department responsible for helping Canadians maintain and improve their health. 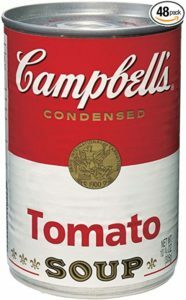 This study set out to analyze the interior coatings and lids of nearly 200 canned foods collected in 19 states and one Canadian province to determine whether the use of bisphenol A (BPA) continues to be widespread among major national brands and retailers of canned foods. We also wanted to determine what replacement materials for BPA-based epoxy are being used by retailers and manufacturers and the extent to which those companies have studied the safety of those materials. Our findings were alarming: This report validates our concerns that, despite consumer demand for BPA-free cans, 67 percent (129 of 192) of the cans we tested contained BPA-based epoxy in the body and/or the lid. Our investigation also found, for the first time, that some retailers and brands have replaced BPA with PVC, made from vinyl chloride, a carcinogen. BPA is a hormonally active chemical. The scientific evidence linking BPA exposure to harm in humans is compelling and growing: More than 300 animal and human studies have linked exquisitely small amounts of BPA exposure, measured in parts per billion and even parts per trillion, to a staggering number of health problems, including breast and prostate cancer, asthma, obesity, behavioral changes (including attention deficit disorder), altered development of the brain and immune system, low birth weight and lowered sperm counts. Children who are often hospitalized in intensive care units are more likely to have attention deficit disorders later, and new research finds a possible culprit: a high level of plastic-softening chemicals called phthalates circulating in the blood. The researchers.....suggest these chemicals, which are added to indwelling medical devices such as plastic tubes and catheters, seep into the child's bloodstream. "Phthalates have been banned from children's toys because of their potential toxic and hormone-disrupting effects, but they are still used to soften medical devices," said lead researcher Sören Verstraete, MD, a PhD student at KU (Katholieke Universiteit) Leuven in Leuven, Belgium. "We found a clear match between previously hospitalized children's long-term neurocognitive test results and their individual exposure to the phthalate DEHP during intensive care." Di(2-ethylhexyl)phthalate, or DEHP, is the most commonly used plastic softener in medical devices made of polyvinyl chloride (PVC). Verstraete called the use of medical devices containing this phthalate "potentially harmful" for the brain development and function of critically ill children. Published on April 1, 2016 March 28, 2018 Categories children, endocrine disruptors, healthy living, UncategorizedTags bisphenol A (BPA), bisphenol S (BPS), diethyhexyl phthalate (DEHP), phthalatesLeave a comment on How Much BPA Did You Eat Today? Once again, research shows that "BPA-free" plastic does not mean it is safer than BPA plastic. Both BPA and BPS (the usual replacement for BPA) leach estrogenic chemicals into the foods and beverages, which means negative health effects when ingested. Both BPA and BPS mimic the effects of estrogen, as well as the actions of thyroid hormone. Yes, this study was done on zebrafish, but think of them as "the canaries in the mine" - if it affects them, it could affect humans also, especially developing fetuses and young children. Companies advertise "BPA-free" as a safer version of plastic products ranging from water bottles to sippy cups to toys. Many manufacturers stopped used Bisphenol A to strengthen plastic after animal studies linked it to early puberty and a rise in breast and prostate cancers.Yet new UCLA research demonstrates that BPS (Bisphenol S), a common replacement for BPA, speeds up embryonic development and disrupts the reproductive system. Using a zebrafish model, Wayne and her colleagues found that exposure to low levels of BPA and BPS -- equivalent to the traces found in polluted river waters -- altered the animals' physiology at the embryonic stage in as quickly as 25 hours. "Egg hatching time accelerated, leading to the fish equivalent of premature birth," said Wayne, who is also UCLA's associate vice chancellor for research. "The embryos developed much faster than normal in the presence of BPA or BPS." The UCLA team, which included first author Wenhui Qiu, a visiting graduate student from Shanghai University, chose to conduct the study in zebrafish because their transparent embryos make it possible to "watch" cell growth as it occurs.... In a second finding, the team discovered that the number of endocrine neurons increased up to 40 percent, suggesting that BPA overstimulates the reproductive system.... "We saw many of these same effects with BPS found in BPA-free products. BPS is not harmless." After uncovering her first finding about BPA in 2008, Wayne immediately discarded all of the plastic food containers in her home and replaced them with glass. She and her family purchase food and drinks packaged in glass whenever possible. "Our findings are frightening and important," emphasized Wayne. "Consider it the aquatic version of the canary in the coal mine." Finally, the researchers were surprised to find that both BPA and BPS acted partly through an estrogen system and partly through a thyroid hormone system to exert their effects. "Most people think of BPA as mimicking the effects of estrogen. But our work shows that it also mimics the actions of thyroid hormone," said Wayne. "Because of thyroid hormone's important influence on brain development during gestation, our work holds important implications for general embryonic and fetal development, including in humans." Researchers have proposed that endocrine-disrupting chemicals may be contributing to the U.S.' rise in premature human births and early onset of puberty over the past couple of decades. "Our data support that hypothesis," said Wayne. "If BPA is impacting a wide variety of animal species, then it's likely to be affecting human health. Our study is the latest to help show this with BPA and now with BPS."